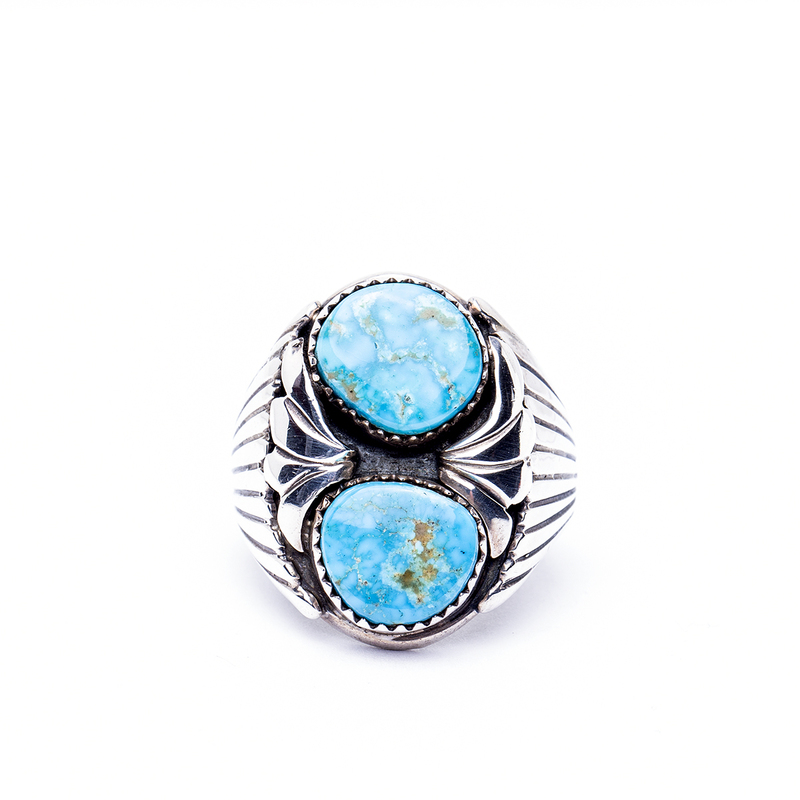 Beautiful blue-green Turquoise is the star in this classic Native American Western ring. A perfect addition to any jewelry collection. 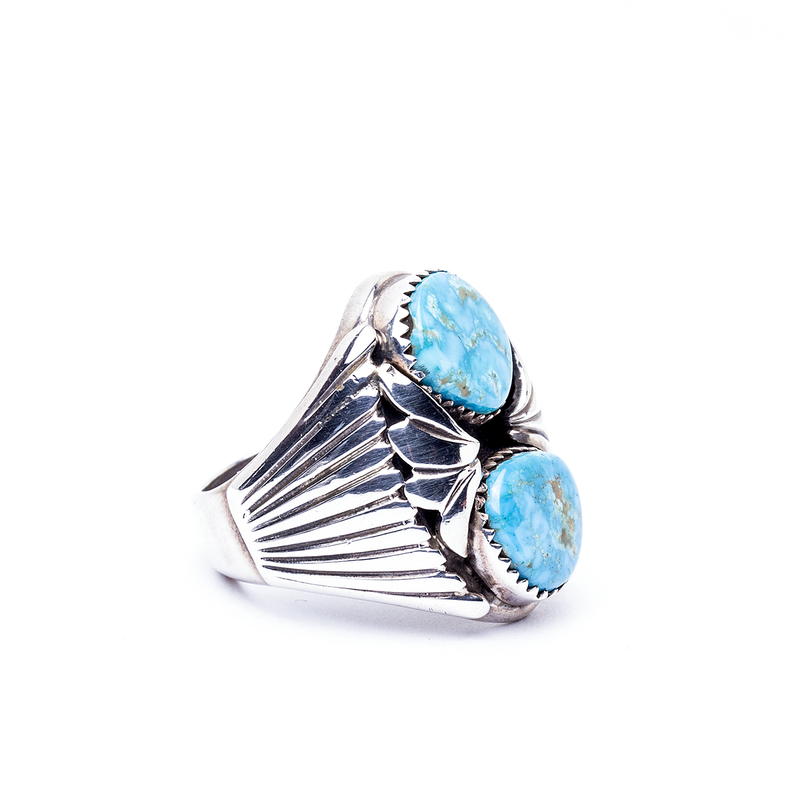 Handcrafted by skilled Navajo artist and Silversmith “A”, this ring is made from .925 Sterling Silver! 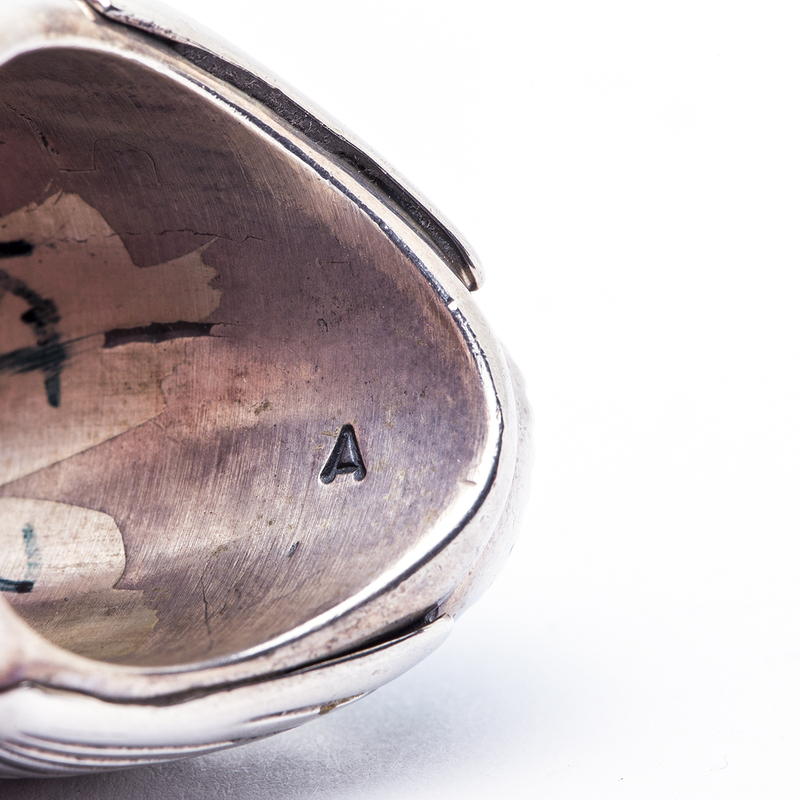 Ring measures 1″ in height. Ring size 8.5. We can size this for you! We offer free gift wrap. Just ask! 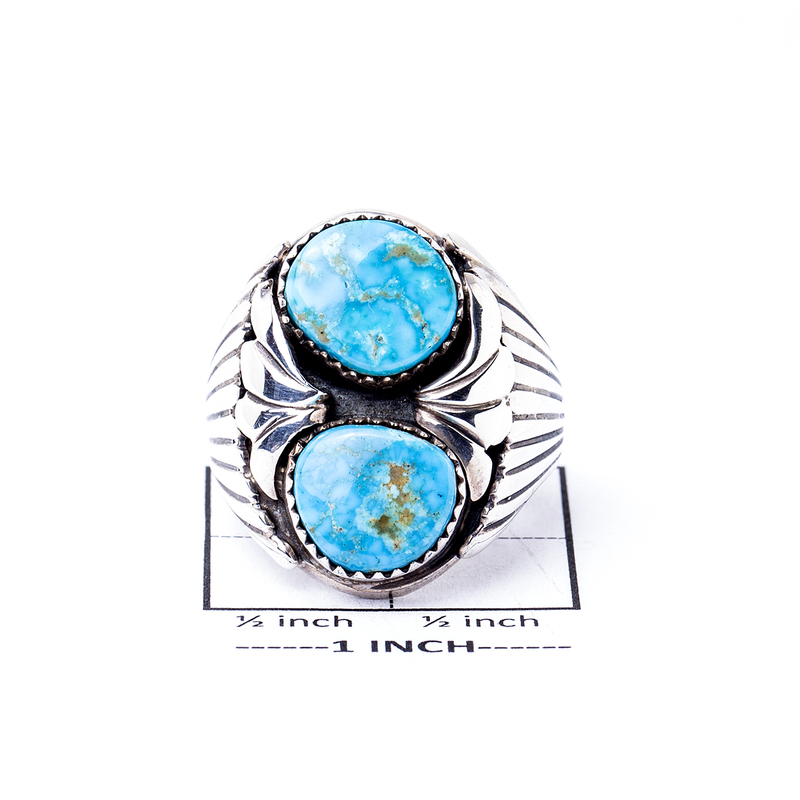 Navajo artist A Two Stone Turquoise Ring is a fine example of classic Native American design in a handsome Sterling Silver man’s ring.